YEA, WE DO THIS TOO..
We will customize the settings of your computer based on your preferences. We include comprehensive support for PC components like software applications, printers, networking devices, scanners, and other peripheral devices. We can also regularly optimize your PC by removing junk files, cleaning up registry, de-fragmenting your hard drive, and updating your software and operating system. Complete PC set-up and installation at one-flat-rate. Help to set-up over 100 software applications. Assistance for other PC peripherals, including printers, scanners, etc. 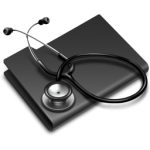 Skilled knowledge on any desktop or laptop make or model. All you do is call for one yearly rate. We take care of the rest. Anytime. Monthly, Unlimited access to great tech support, all year around service available. Traveling Services Provided to Charlotte, Triad and surround areas. On call support is provided to parties outside these areas. Apologies that you won’t be graced by a visit in person, but we’re sure you’ll be one step closer to having your own GEEK status once your off the phone. Sure to impress your spouse, friends, and definitely your kids. We can provide you with reliable in house assistance should you need it if you are outside of our immediate service area. Instant access – the ability to anytime “live connect” to expert tech support via the Internet. THREAT YOUR PC MAY BE INFECTED!!!! We can help you to remove spyware, viruses, and other security threats from your system with the help of anti-spyware products or fancy manual methods (Warning! If you watch this process, you may get confused. Telling you what were doing is fun, but probably boring. So take caution with questions). We can provide support to download, install, set up and configure various anti-spyware products on your PC. With our help and support, you can also resolve any issue that may occur during the installation and configuration of any anti-spyware product on your computer. We can also stop spyware from infecting your system, accessing your personal information like e-mail ID and password, and tracking your Internet usage. 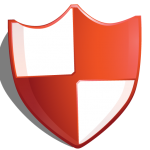 We can provide help for you in every way possible to protect your PC from spyware attacks. Support to safeguard your PC against any malicious software by installing compatible anti-spyware software at one-flat-rate Informing you about corrupt websites Downloading and installing programs from reliable sources to protect your system. We will optimize your computer for enhanced speed and performance. We will clear out your junk files, clean up your system registries, de-fragment your hard drive, update your software and operating system, and make your PC fast and healthy. We will also enhance your computer security settings. Troubleshoot today’s most popular smartphones and iPad or similar devices for you. 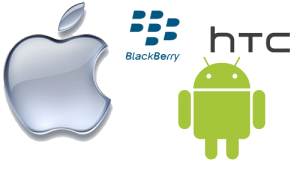 Support and setup for Android™, Blackberry®, Windows Mobile®, Symbian®, Apple iPhone®, and Apple iPad devices. We will assist you with your smartphones and iPads in seconds and help you immediately configure your mobile devices and at the same time provide you with adequate education as well. Application (Apps or App store) support also available. We all know technology is always changing. Our best advice to you, NEVER impulse buy. Always do your homework and read reviews. Your ultimate goal if purchasing a new computer(s) for business or for personal use, is to invest your money the right way, when you are able to, after all it is your money. This can be useful for you in the future and even open a door for easy upgrades over the years. We’re not saying you can’t purchase to “GET BY” but going the cheapest route isn’t always the safest or smartest. Technology will leave you vulnerable if you or your business relies on it. So invest in it wisely. If after all of that and your still confused. Don’t worry. We can provide you with cost effective solutions for your home and business. Advice is always free.